Have the universe at the tips of your fingers! 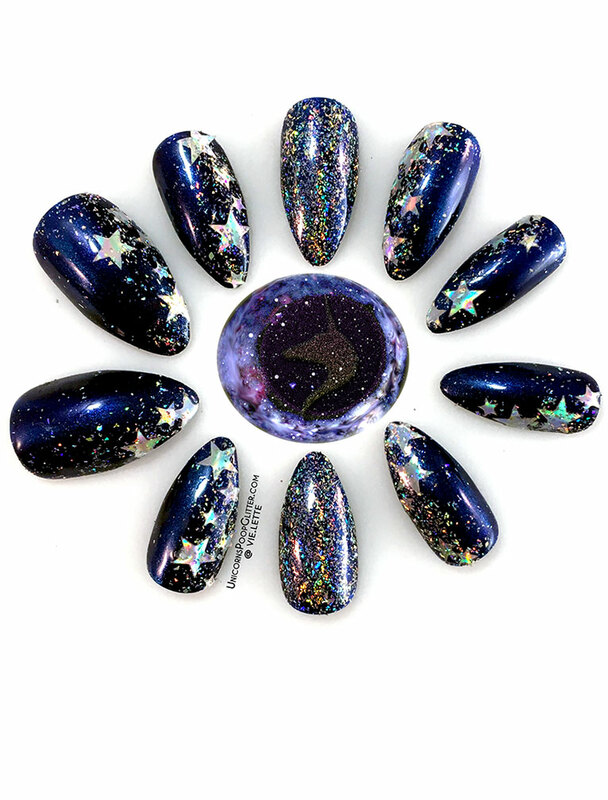 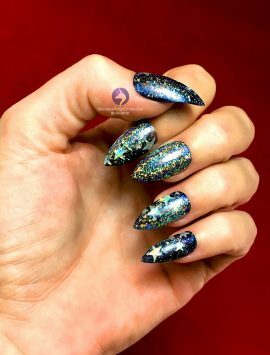 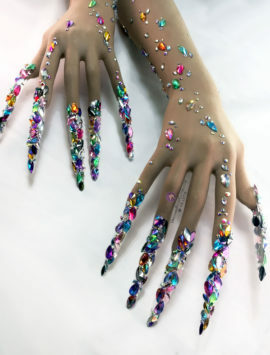 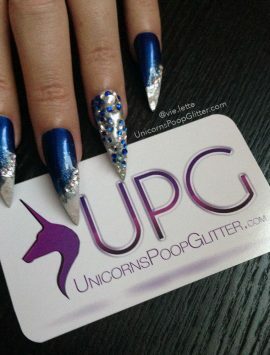 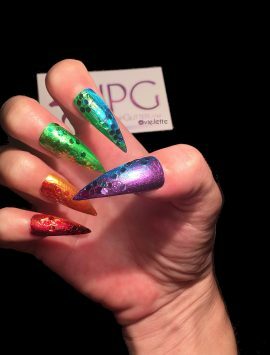 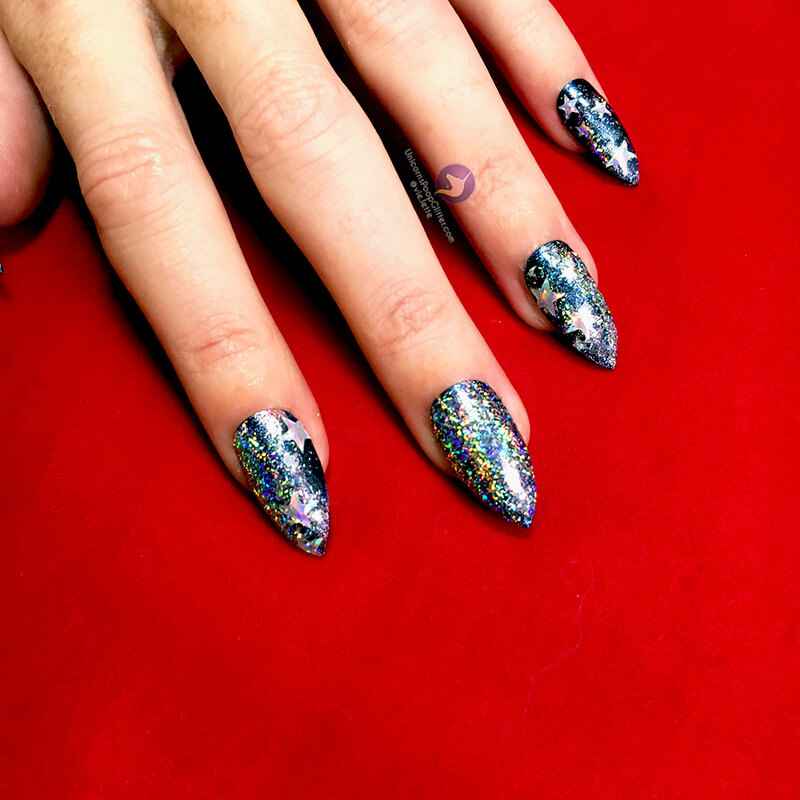 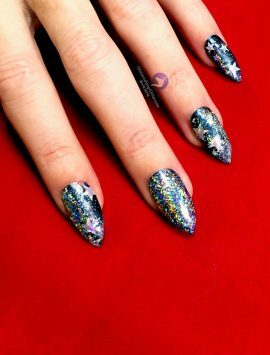 Stardust nails showcase a super sparkly rainbow holographic glitter and holographic stars. 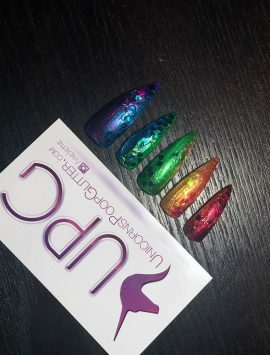 The photos don’t do this justice! 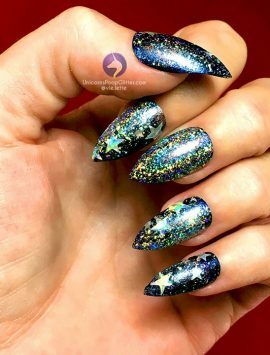 The sparkle is out of this world!! 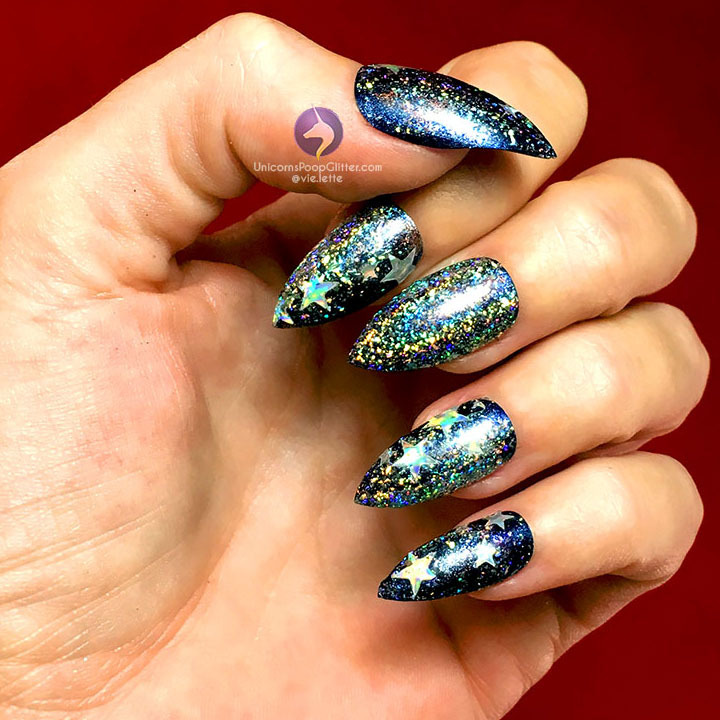 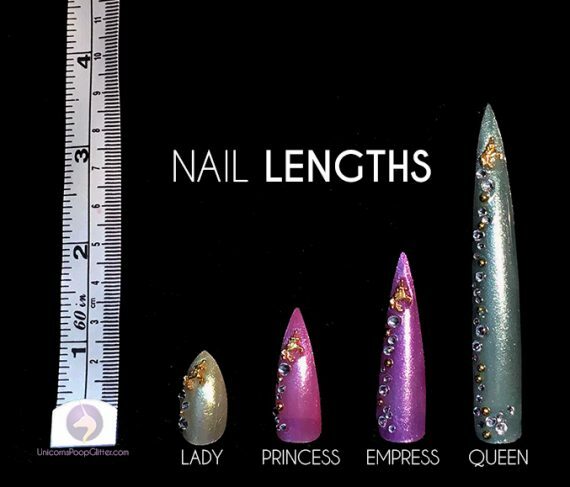 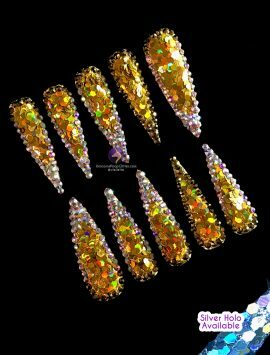 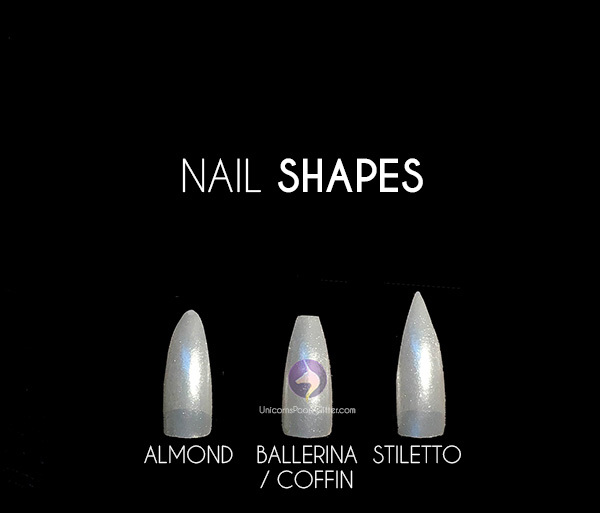 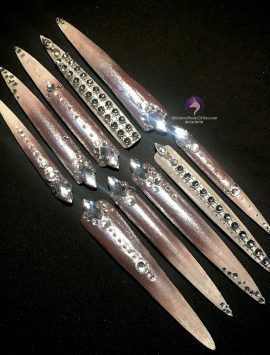 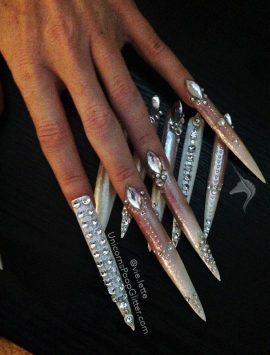 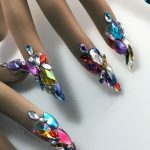 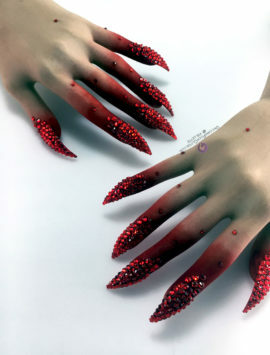 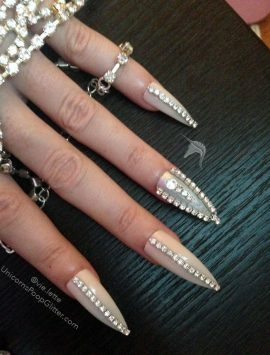 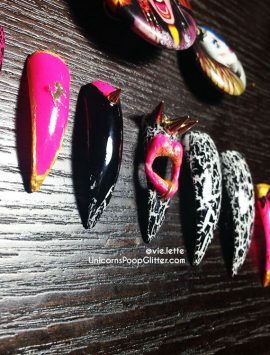 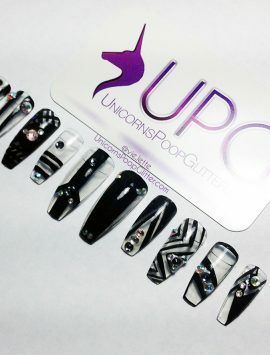 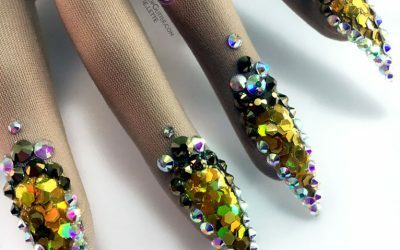 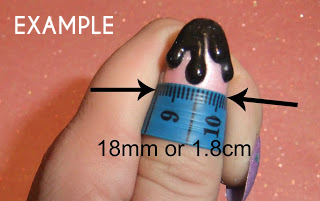 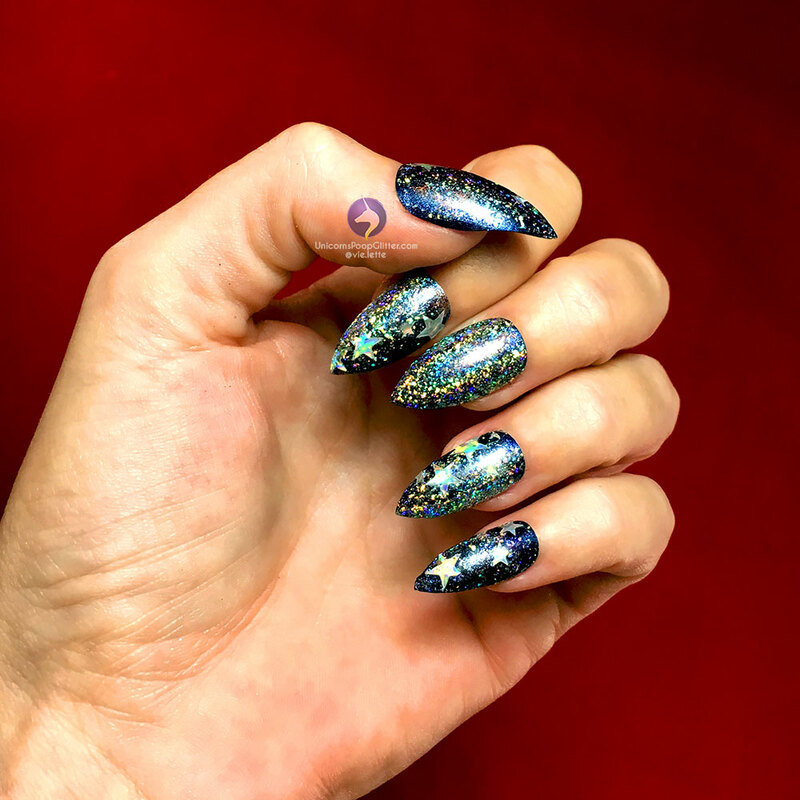 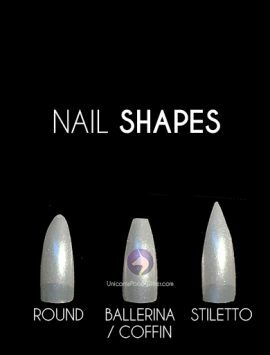 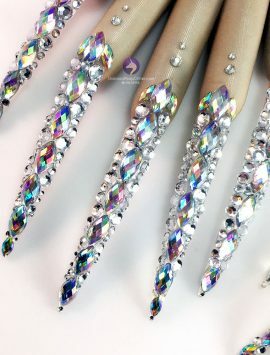 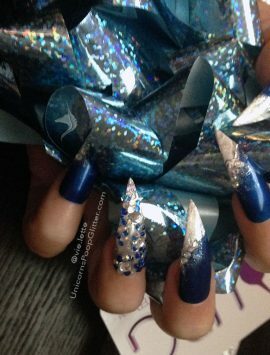 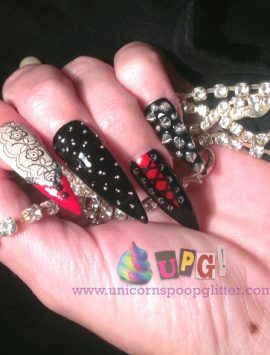 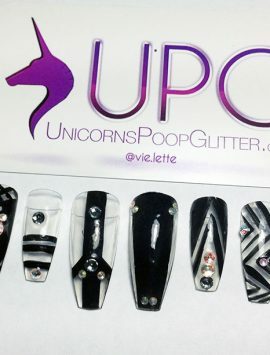 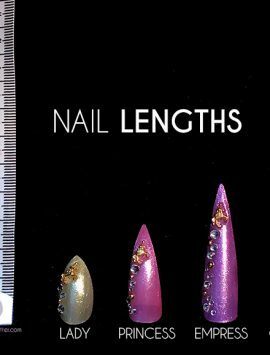 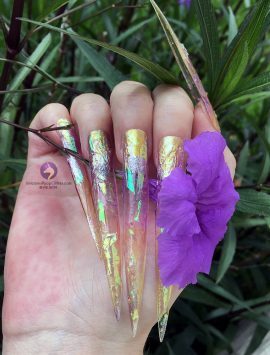 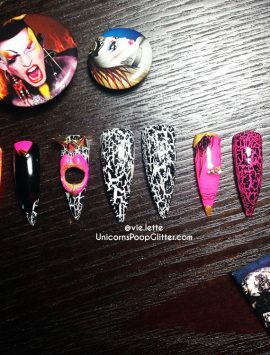 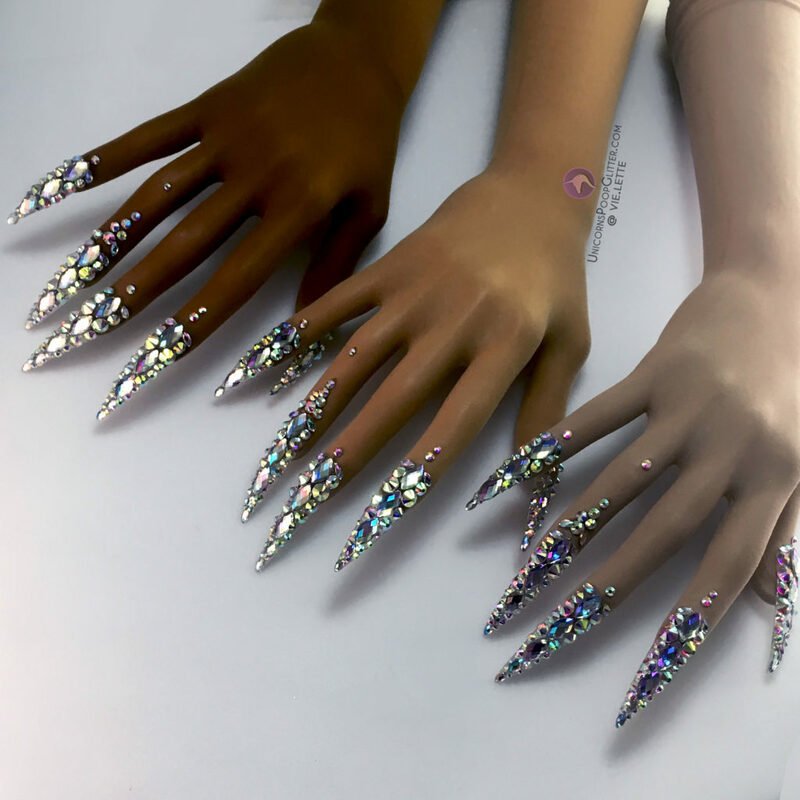 Each nail is hand-painted and made to order by a professional nail artist using nail polish, embellishments, and custom 3D nail art, then sealed by a strong UV gel topcoat.